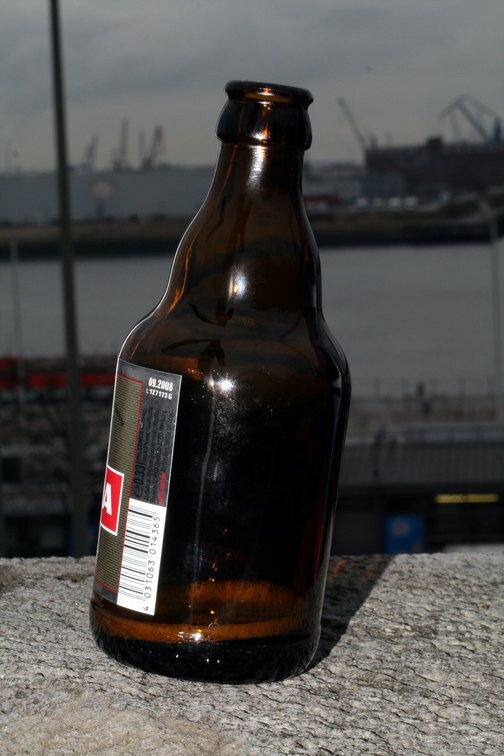 An almost empty bottle of Astra beer with the harbour of Hamburg in the back. Oh, the camera was in an horizontal position. The photo has been viewed 2879 times.